Right, so the new hotness is in town. 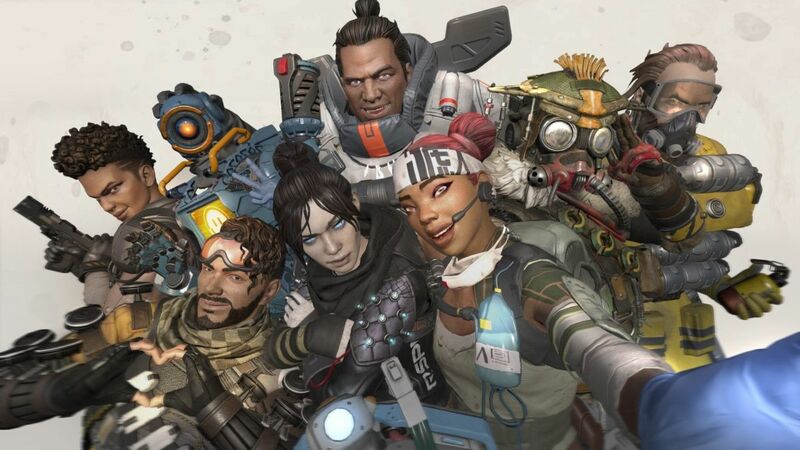 Apex Legends have taken the world by storm this week, and millions of people have played it. So let’s use this thread as an official discussion thread, or asking for squad-ups or any questions and information. Man, I played a ton of this game this week. I am starting to fall for the allure of battle royale games, but as it’s implemented here. The whole formula just gels so well, and the gameplay is super fun and quick. Never feel like you’re waiting too long for action of some kind. I haven’t managed to get a win, but I have managed to get to second best team on two occasions. For anyone on Xbox that wants to jam, just let me know. I’m loving this game too! It certainly is more action packed than PUBG, although maybe lacking a bit of its tension. But it certainly is a lot of fun. I’ve managed to pull of a couple of wins and top 3 finishes, it is largely dependent on the team that you get though. The ping system is brilliant, allowing you to easily communicate with the squad, even down to requesting specific ammo or attachements. The different character classes also help keep it feeling fresh each round. Plenty of us bud, @MalicE @werntastic and I were playing a bit last night! New weapon being added to the game, it looks like a great new addition. So the game has been out for a while and it seems that a few folks here like playing it. Are you still enjoying the game and what’s the ping situation like? Still enjoying the game, it is just plain fun to play. I was getting a bit frustrated with the crashing to desktop issues though. It was happening more and more often and eventually would occur in almost every game I tried playing. Fortunately with some changes to certain settings I’ve got it running stably again. Had to change to Borderless Window and cap the framerate to match with my refresh rate but it seems to have done the trick at least. With regard to ping, they’ve certainly done well in that area. There is the obligatory petition for the developers to launch a local server but many are actually opposed to it since there really isn’t much noticeable delay (not that I can say I have noticed at least) and it’s better to have the larger playerbase of Europe so that you don’t have to wait long for matches. Played for the first time last night and just right off the bat, it has been smooth and brilliant and fun. Will definitely be playing more of it. with your new internet you should be installing and uninstalling everything constantly. just because you can. I havent noticed anything out of the ordinary.